Jon Huntley, who graduated in 1997 from the School of Cinematic Arts with an MFA in Production, recently wrote and edited the short film Matt and Maya. 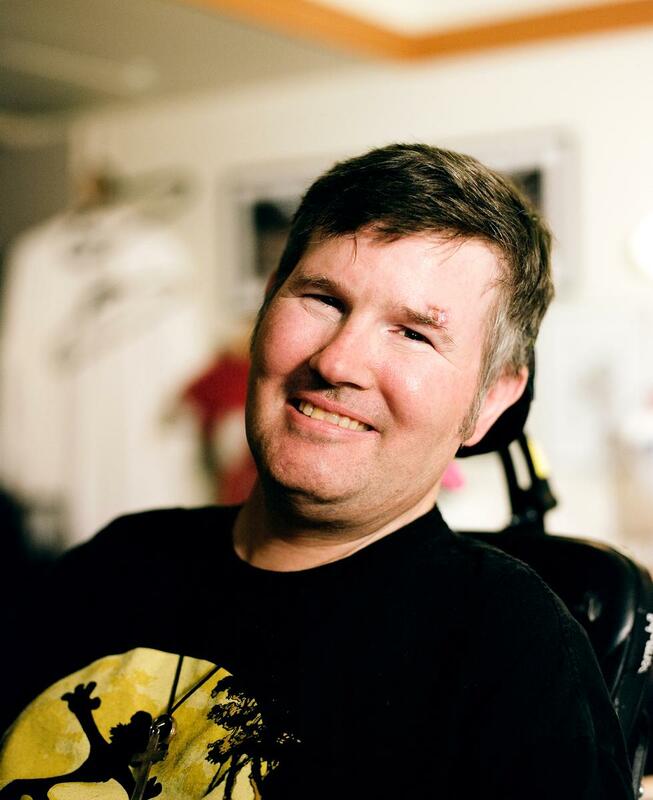 Huntley has been living with advancing ALS, a nervous system disease that impacts all physical functions, rendering him unable to speak or move his arms or legs. A moving story about the love between two people who must overcome great physical limitations, Matt and Maya is film very close to Huntley's heart. Being surrounded by people who worked in all aspects of filmmaking, Huntley found incredible support and dedication to make his movie. “I am truly humbled by the production of Matt and Maya,” he says. Huntley was able to cast from his fellow residents and staff members at MPTF, with some caregivers portraying themselves in the movie. He found a director among his peers in Burt Bluestein, who had worked his entire life as a first assistant director. Furthermore, volunteers from all ages came together to make Huntley’s vision a reality. “Matt and Maya is the result of over 100 collaborators,” Huntley says, recognizing everyone who helped in the process. 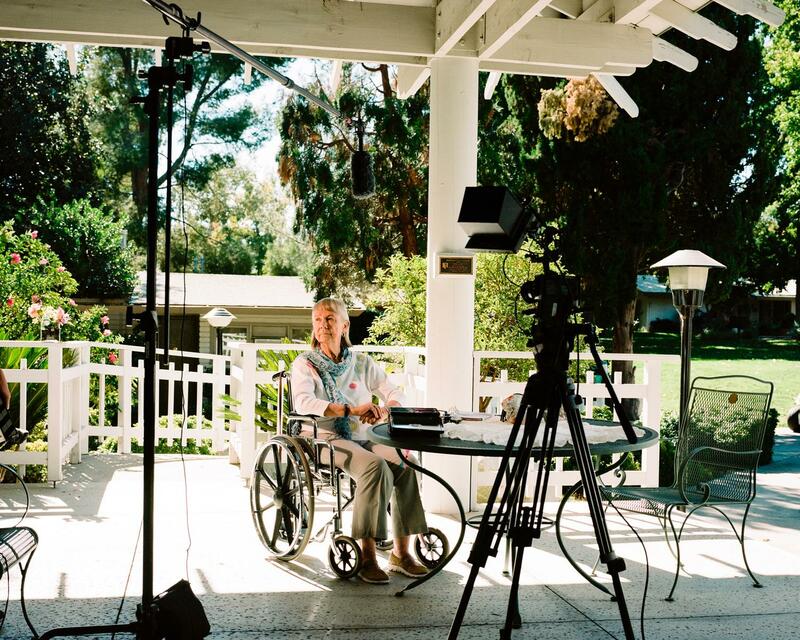 “Thank you to everyone who volunteered their time to tell the story of me and my friends.” Matt and Maya was shot on MPTF’s campus, and is a very authentic portrayal of what life is like for those in long-term care. The team at MPTF has had private screenings for the cast and crew of Matt and Maya on the campus, and are working to get the film into festivals. Bellow: Actress Valerie Webber Elson, MPTF resident who plays the character of Maya, during filming. Shortly after the publication of this article, Jon Huntley passed away.